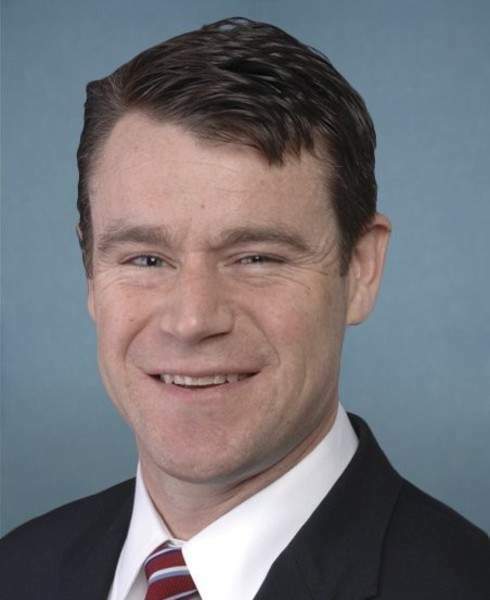 INDIANAPOLIS – The political world is buzzing with the possibility that GOP establishment candidate U.S. Rep. Todd Young might be kicked off the May 3 ballot for U.S. Senate. "You know, I honestly am stunned at this turn of events," said Senate President Pro Tem David Long, R-Fort Wayne. "If it’s true, it’s one of the most colossal mistakes I have ever seen." The Indiana Democratic Party has filed a formal complaint alleging Young is short on the required number of voter signatures to be on the ballot. Long said Thursday he is willing to look at the state’s ballot access law, which requires a statewide candidate to gather 500 signatures from registered voters in each of Indiana’s nine congressional districts. "I don’t know if it’s anachronistic or not. Obviously it shows you have support throughout the state as a statewide candidate, that’s the theory behind it," he said. "I’m not sure it serves its purpose anymore. We’ll talk about it. "Certainly looking at this outcome and its stunning potential makes you wonder if we ought to reconsider how we allow our people to become eligible for the ballot." Long did say that nothing would be done to retroactively change the law to help Young. Other legislative leaders, though, didn’t seem to support changing the law. House Democratic Leader Scott Pelath said the law is reasonable. "We want to ensure candidates standing for high office have some degree of credibility and organization," he said. "If you want to run for U.S. Senate, you ought to have your act together." GOP House Speaker Brian Bosma said the burden isn’t too high. "There are requirements in statute that need to be met. … I don’t know that one particular candidate should get an exemption from them," Bosma said. "You need to be sure that you beat the hurdle. I was a little surprised when I heard there were only 501 certified signatures originally. That’s cutting it way too close for most candidates." The Democrats don’t believe Young received the necessary 500 signatures in the 1st District, containing Porter and Lake counties and part of LaPorte County. U.S. Rep. Marlin Stutzman – who is running against Young for the Senate seat – also has expressed concern about Young’s eligibility. Stutzman could end up as the only candidate in the Republican primary election. "If Todd has more than 500 signatures he should be on the ballot, but if reliable Indiana media sources are correct, and he has failed to meet the minimum number of signatures required to be a candidate for the United States Senate, then the rule of law must be followed," Stutzman said Thursday in a statement. Here is how the system works in terms of signatures: Campaigns gather signatures and then submit them to county clerks to be certified. Some names are always tossed as invalid. For instance, if the same voter signs twice or if the voter isn’t registered or the voter’s address is wrong. This is why campaigns usually hand in far more signatures than are required. After the signatures have been certified, county clerks input their totals into the Indiana Election Division system, which tallies the number for each congressional district. For Young, that number for the 1st District was 501. The Election Division staff doesn’t review the signatures or do any counting. The Indiana Democratic Party, though, requested the signature sheets and counted fewer than 500. Three independent counts by various media entities Wednesday all came up with 497 certified signatures. The question now is simply a matter of math. But Young will likely argue that some of those signatures that were not certified should count. Democrats will argue some signatures that were counted shouldn’t have been. The challenge will go to the four-member Indiana Election Commission. There are two Republicans and two Democrats, and many of these partisan disputes end up in a tie, which would leave Young on the ballot. "If they are going to keep him on the ballot, I am eager to hear the explanation," Pelath said. The current commission members are Republicans Bryce Bennett Jr. and Fort Wayne attorney Zachary Klutz and Democrats S. Anthony Long and Suzannah Wilson Overholt. The challenge could be heard Feb. 19. Conventional wisdom has it that Young would have a better shot against Democrat Baron Hill for the Senate seat, and that could play into the decision. Indiana Republican Party Executive Director David Buskill has accused the Indiana Democratic Party of dirty politics. "While the Indiana Republican Party may not endorse candidates in primaries, we do expect the Democrats to focus on their own party’s races instead of trying to disenfranchise voters in ours," he said.